Beautifully glowing with green and blue iridescence and coppery wings, the Japanese Beetle doesn’t look like it should be despised. But Japanese Beetles have earned their unsavory reputations by having populations that quickly grow out of control and damage almost every part of our landscape. And summer is Japanese Beetle time: this is when the adults emerge from the ground and start dining on our plantings. With a diet that includes over 300 different plants, our yards are their buffet. They devour the soft leaf tissue of our plantings, often leaving only the leaf ribs behind. Since July is also their time to mate, a few Japanese Beetles can turn into a mob when they release pheromones that attract other beetles from a mile away or more. In late July through August, the females lay their eggs in our lawns. It takes less than two weeks for the larvae to develop into grubs and start gnawing their way through the grass roots. These grubs are the single most damaging lawn pest we have. 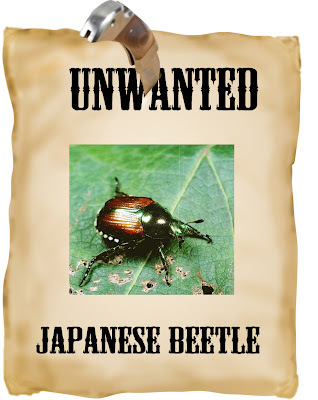 There are a few different ways to control Japanese Beetles. Certainly the simplest is to remove them by hand -- and if the beetles have confined themselves to a single rosebush, it’s possible to curtail their population this way. However, if they’re munching through your Birch tree – or you have no interest in hand-picking beetles – you probably should consider a more sophisticated solution. We usually recommend applying a low-toxicity spray to the most susceptible plantings, repeated 2 or 3 times over the course of the summer. The grubs represent a different challenge. Because Japanese Beetles are very mobile, it’s possible to have lots of grubs beneath your lawn, eating the grass roots and creating dead brown patches, without seeing many adults. We have several options for treating grubs. When we confirm grub activity (we do this by lifting the soil and looking), we can apply a grub treatment. One annual application usually controls all kinds of grubs, including Japanese Beetles. There is also a purely organic approach that targets only Japanese Beetles. Milky disease is caused by a bacterium that infects Japanese Beetle grubs. We can apply Milky Spore powder to a lawn to control the Japanese Beetle grub population. The Milky Spore continues to infect the beetles for several years. 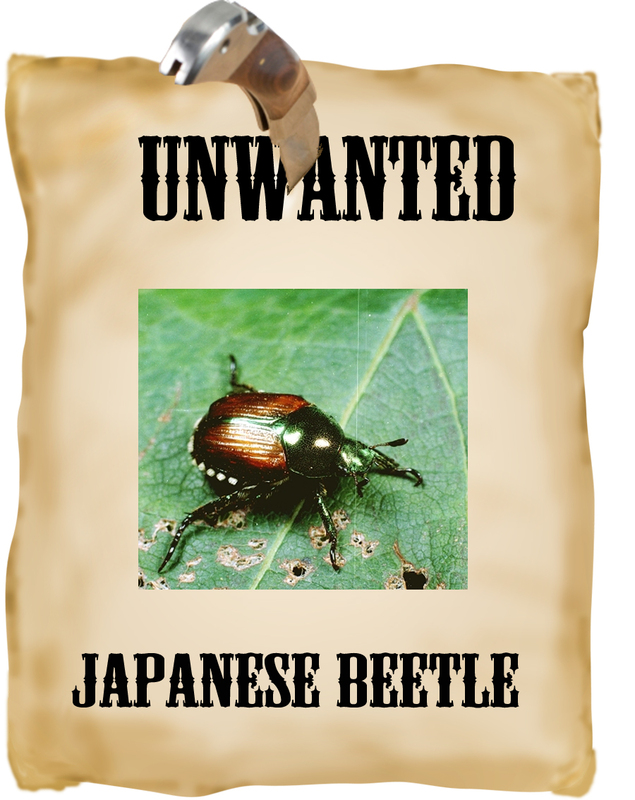 One warning: many sources sell pheromone traps for Japanese Beetles. These traps work well – at attracting Japanese Beetles to your yard from all around the neighborhood. So don’t buy these traps – unless they’re a gift for your neighbor!